An international accredited 18-hole golf course is situated in Glyfada on the coastal road south east of Athens. This cosmopolitan Athenian suburb is well known for the exclusive boutiques for clothes and leather goods, full of street cafes and bars for a never-ending nightlife. Yabanaki on the beautiful main beach of Varkiza has loads of activities and hot spots for all ages. It’s the perfect place for a stroll with friends, for family outings or for romantic evenings. Spread amongst the 100 acres surrounding Yabanaki Beach are a variety of water sports, beach volley, playground and spots to relax at the restaurant and café - bars. Feel your adrenaline rising with tubes, banana and flying fish water games or impress with your water sports skills. For the more leisurely, there are pedaloes and canoes. Water skiing and windsurfing lessons are available (individual or group). All watersports are conducted under the watchful supervision of Lifeguards. Free parking is available all days and the use of umbrellas and sun beds from Monday to Friday is also free. Sixteen cabanas decorated in summer style are available from 8:00 until 20:00 daily. Sounio, on the Athens Riviera, has long been the summer playground for elegant Athenians. Fishing tavernas, scenic villages, hidden bays make it a favourite destination for all. On the peninsular opposite the Grecotel Cape Sounio> stands the Temple of Poseidon, one of the most celebrated archaeological sites in Europe and the second most important ancient Temple in the area of Attica. Dating back to 444-440 BC the temple was constructed from white marble in Doric style. Many legends of mythology are connected with Sounio, including King Aegeus of Athens who committed suicide from the Temple when he believed his son Theseus had been killed by the Minotaur of Crete. It offers one of the most exquisite sunsets in the world. The Athens coastline is host to a number of marinas where fantastic yachts line the piers. The marinas at Flisvos and Alimos have many outlets for drinks, ice creams or meals. Kids can play safely in the pedestrianized areas while parents relax. The hotel concierge can assist with yacht charters. 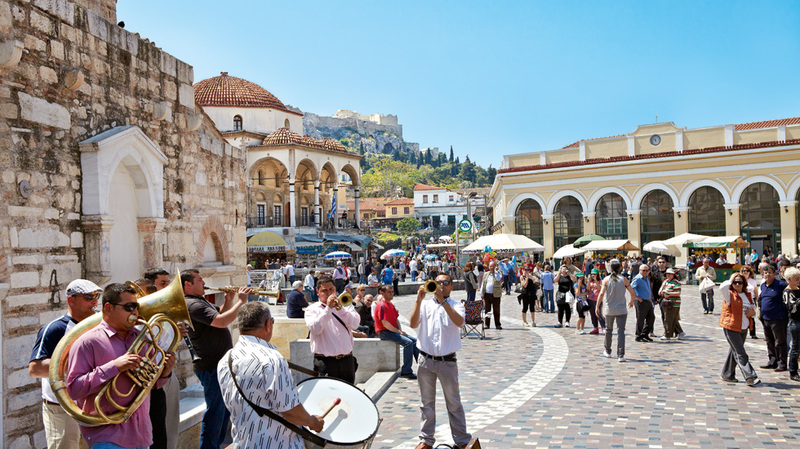 Athens offers a vibrant array of shopping to suit all tastes and budgets: In central Kolonaki, the city’s most famous shopping neighbourhood, international & local designers are found alongside authentic local shops. Leading off Syntagma Square is Ermou – a pedestrian shopping street which specialises in clothing and accessories. For those looking for antiques then visit Monastiraki Market (Metro Monastiraki). There’s everything from souvenirs to top-notch antiques, musical instruments, glass and silver. It’s open daily but Sunday is the main day for the antique bazaar. In the suburbs, the seaside boutiques of Glyfada can be combined with a day on the beach. New shopping malls combine international brand names with cinema, restaurants and entertainment. The hotel supplies maps for getting around Athens. 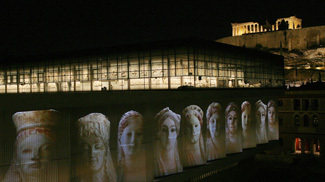 Athens is a good place for ‘night owls’. The Greeks start dining between 21:00 and 23:00 before moving onto the city’s diverse and abundant selection of bars and nightclubs around 01:00, finishing in the ‘late’ early hours…often with a 06:00 soup in a traditional taverna… Glyfada & Voula are Athens’ busiest suburbs for summer nightlife with many modern restaurants and nightclubs lining the shore. The Gazi District has become one of hottest areas in central Athens. The irony? The Gazi District was once the site of the city’s gasworks, which blanketed much of the area with soot. The grime has been replaced by a new central square and Metro station which breathes new life into this area. Today, the streets are lined with bars, restaurants and cafes.